Did you know March is National Craft Month? 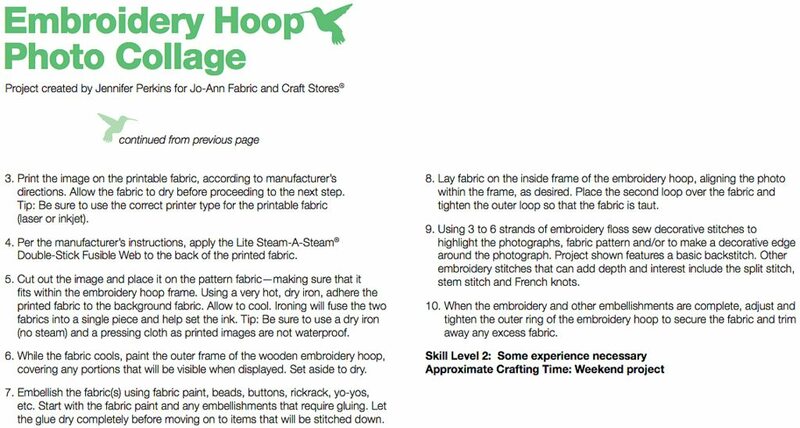 To celebrate I did a fun little Embroidery Hoop Photo Collage for the nice folks over at JoAnn Fabric and Craft Stores. 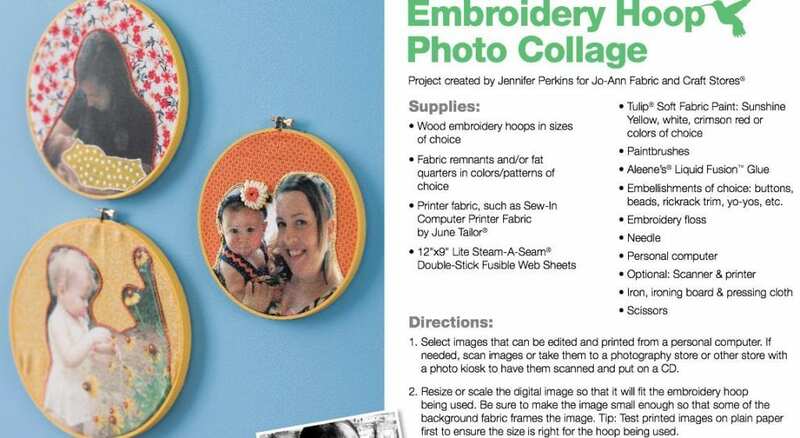 If you pop into a JoAnn Fabric and Craft Store this month be sure to look for the pillar at the front of the store with not only my Embroidery Hoop Photo Collage, but fun projects by lot’s of my crafty friends like Vickie Howell, Kathy Cano Murillo, Jenny Hart, Margot Potter and more! Feeling stitchy? Check out my Halloween Ornament version. Posted March 22, 2011 & filed under Crafts, Crafty, Father's / Mother's Day, Holidays, Kids Crafts, Needle Arts, Needle Crafts, Press. Just in case you have had that baby,,,,congrats and have fun with her or him!!! can;t wait to see pics! What a fun idea! Can't wait to make these.